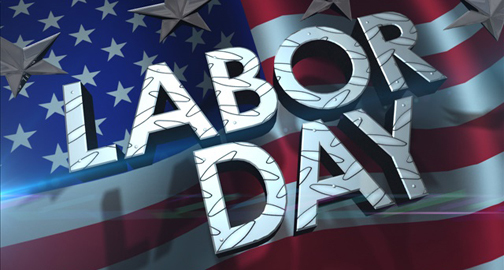 Labor Day, a Federal holiday celebrated on the first Monday in September, is a creation of the labor movement dedicated to the social and economic achievements of American workers. It constitutes a yearly national tribute to the contributions workers have made to the strength, prosperity, and well-being of our Country. It is also unofficially considered the end of summer in the United States. Its back to school for most younsters and football season starts. The growing trade union and labor movements in beginning of late 19th century, trade unionists proposed that a day be set aside to celebrate labor. “Labor Day” was promoted by the Central Labor Union and the Knights of Labor, which organized the first parade in New York City. In 1887, Oregon was the first State to make it an official public holiday. By the time it became an official Federal holiday in 1894, thirty U.S. states already officially celebrated the holiday. THANK YOU TO ALL WORKING, CONTRIBUTING, CITIZENS OF AMERICA. ENJOY TODAY, IT’S FOR YOU.